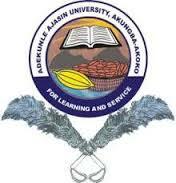 Adekunle Ajasin University, Akungba-Akoko (AAUA) Change of Course Application Form, Requirements, Cut-Off Marks and Application Guidelines for 2018/2019 Academic Session. NOTE: UTME score constitutes 60%. While the post UTME score constitutes 40% of the aggregate score (i.e., UTME score/400 x 60 + post UTME score/100 x 40). No approximation, please.